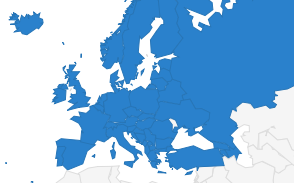 The European Commission published on 17 April 2018 its annual Enlargement Package, including the country reports (formerly known as “progress reports”), assessing the implementation of the European Union’s enlargement policy regarding the accession process of the Western Balkans and Turkey. These country reports shows alarmingly precarious working conditions of journalists as the level of press freedom deteriorates further. Strengthening of the public broadcaster slightly increased freedom of the press. But weak journalists’ social and labour rights as well as the lack of transparency regarding public advertising hinders further progress of press freedom. The editorial direction of private media continues to be heavily influenced by political and business interests. Self-censorship is a worrying trend in this region. Additionally, journalists are at risk of high fines and defamation. The report recommends to introduce legislation in line with international best practice standards on public advertising in order to improve transparency. Furthermore, Albanian journalists’ labour and social rights should be strengthened and protected. No progress on freedom of the press has been achieved in the past year. Intimidation, threats, verbal and physical attacks on journalists remain a worrying issue. Development of legislative proposals in the media sector is dominated by a political and ethnic divide of the public threatening transparency and neutrality. Financing of the public service broadcaster remains unsustainable which results in media ownership and self-censorship further threatening press freedom. The public service broadcaster is led by politically-controlled steering committees. The report recommends to ensure protection of journalists and effective law enforcement following cases of threats against journalists. Furthermore, the reform of the public broadcasting system should be finalised, including sustainable funding, political neutrality of steering boards should be secured and transparency on media ownership should be improved through legislation. Despite an agreement between the government and the Association of Journalists of Macedonia from December 2017 to conduct follow-up investigations on attacks against journalists, continuous attacks on journalists challenge press freedom in the region. 21 new cases of intimidation of journalists were reported in the last year. Ethical and professional standards for objective reporting need to be improved. 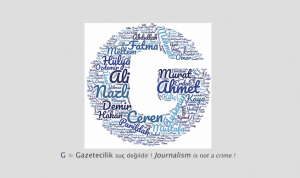 Most hate speech and violations against the journalistic code of ethics were reported online. The absence of online hate speech regulation and a lack of negotiations about a collective union agreement are of great concern. On a positive note, the media regulator initiated a network for media literacy involving state and non-state actors. As of October 2016, Macedonian Radio and Television are no longer funded by broadcasting fees but from the state budget. The report recommends continuous reforms of the public broadcaster and strengthening its independence. Additionally, objective reporting and media pluralism as well as prosecution of violence against journalists is recommended. 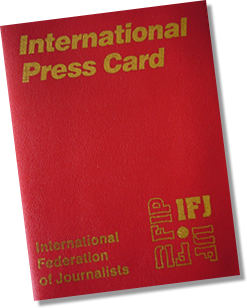 No progress regarding freedom of the press has been made as attacks and threats on journalists increased. With 24 reported incidents in 2017 the number has doubled in comparison to the previous year. A problem is that the right of journalists to conscientious objection and the public’s right to reply and correction remain unregulated. The Association of Journalists in Kosovo has been active in condemning incidents and threats against journalists. The report recommends more efficiency in prosecuting those that threaten and attack journalists. It also emphasises the challenges that journalists face like the lack of working contracts. It is stated that Kosovo’s poor economy has affected media too that makes them financially unsustainable. No progress in the area of press freedom has been made in the past year. Seven attacks on journalists were reported in 2017. Impunity and lack of prosecution regarding old cases prevail. Weak self-regulatory mechanisms allow for defamation cases against journalists. Several members of the RTCG Council (Montenegrin Public Service Broadcaster) were dismissed and replaced by the Parliament. Despite a ruling of the constitutional court no longer allowing the government to provide funds to commercial broadcasters the financial instability of media outlets fosters editorial interference and self-censorship. The report recommends that greater efforts need to be made regarding investigations of attacks on journalists, as well as to strengthen the financial and editorial independence of RTCG and the Agency for Electronic Media of Montenegro (AEM). Serbia has not achieved any improvement regarding press freedom in 2017. In an environment of precarious press freedom, cases of verbal, physical attacks and attacks on property of journalists continue. Hate speech and discriminatory terminology is often tolerated in the media and rarely addressed by regulatory authorities. The Serbian press council has recorded a rise of breaches of the Journalistic Code of Professional Conduct in print media (approximately 7 % rise in 2017). Political and economic influences over media due to a lack of transparency concerning media ownership structures cause widespread self-censorship. There is a lack of funding for the Serbian public service broadcaster RTS and formats with minority languages need to be strengthened. The report recommends to establish an environment of freedom of expression, to follow up attacks on journalists and to allocate funding to the media sector. There has been serious drop regarding freedom of the press in Turkey in the past year. Journalists suffered from arrests, detentions, prosecutions and dismissals, as well as increasing censorship and self-censorship. The number of journalists in prison is estimated by the EFJ to be 156 and 175 media outlets remained closed down. The trend of prosecutions of journalists, writers, social media users and other citizens for insulting the President of the Republic is of serious concern. The 2016 recommendation are restated: Turkey should release journalists being held in pre-trial detention, refrain from undue restrictions of freedom of expression and ensure that courts apply European Court of Human Rights’ case-law and are able to act independently.